A manga, entitled “Jose Rizal,” was released in time for Jose Rizal’s 157th birth anniversary. Rizal is the Philippines’ national hero. His life story will be released in chapters, with the first chapter uploaded on June 19. The story can be read here, for free. Manga refers to Japanese comic books and graphic novels, which are aimed at adults. The manga featuring Rizal’s life was made possible through TORICO Co. Ltd of Japan and Creative Connections & Commons, Inc. of the Philippines. Takahiro Matsui wrote the story, while Ryo Konno did the artwork. Image Credit: Creative Connections & Commons Inc. The comics about the life of the national hero can be found on Manga.Club, a manga distribution site. The first episode opens with Rizal’s execution in Bagumbayan (or presently known as Luneta Park in Manila). The story then goes back to his family; his younger years; up to his mother’s arrest by Spanish soldiers. The next episode will be available on June 26 at 4 PM (Philippine time). 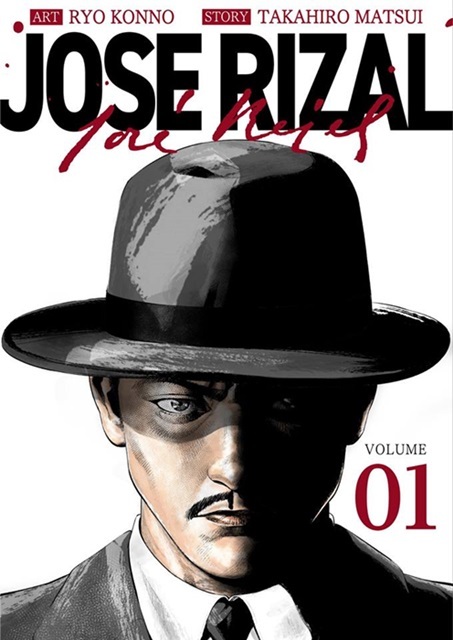 The cover shows an animated Rizal wearing a bowler hat and black coat. This is one of his more commonly used image. “In the land now known as the Philippines, there was a time when colonial Spain ruled for more than 300 years. During a period when native Filipinos once called Indios were oppressed, exploited and stripped of their human rights, Jose Rizal was born on the outskirts of Manila. What does it mean to be a Filipino? Is it possible to incite change through knowledge and not violence? Rizal, whose full name was Jose Protacio Mercado Rizal Alonzo y Realonda, is the author of Noli Me Tangere and El Filibusterismo. He stayed for six weeks in Japan in 1888. He has a statue in Hibiya Park in Tokyo, Japan.